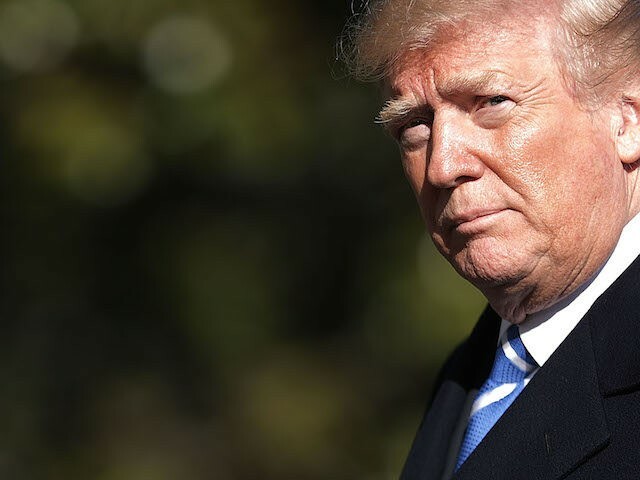 TEL AVIV – President Donald Trump said Americans have “a moral obligation to combat anti-Semitism, confront hate and prevent genocide” in a statement marking Yom Hashoah, Israel’s Holocaust Remembrance Day, on Thursday. “Although spearheaded by one individual, this undertaking could not have happened without the participation of many others who recruited, persuaded and coerced in their efforts to incite the worst of human nature and carry out the ugliest of depravity. The abject brutality of the Nazi regime, coupled with the failure of Western leaders to confront the Nazis early on, created an environment that encouraged and enflamed anti-Semitic sentiment and drove people to engage in depraved, dehumanizing conduct,” Trump’s proclamation read. In addition to six million Jews who died at the hands of the Nazis, the statement also noted the millions of Europeans who were killed. The Holocaust, known in Hebrew as “Shoah,” was the culmination of the Nazi regime’s “Final Solution to the Jewish Question,” an attempt to eradicate the Jewish population in Europe. Although spearheaded by one individual, this undertaking could not have happened without the participation of many others who recruited, persuaded and coerced in their efforts to incite the worst of human nature and carry out the ugliest of depravity. The abject brutality of the Nazi regime, coupled with the failure of Western leaders to confront the Nazis early on, created an environment that encouraged and enflamed anti-Semitic sentiment and drove people to engage in depraved, dehumanizing conduct. By the end, the Nazis and their conspirators had murdered 6 million men, women and children, simply because they were Jews. They also persecuted and murdered millions of other Europeans, including Roma and Sinti Gypsies, persons with mental and physical disabilities, Slavs and other minorities, Christians, Jehovah’s Witnesses, gays and political dissidents. Let us continue to come together to remember all the innocent lives lost in the Holocaust, pay tribute to those intrepid individuals who resisted the Nazis in the Warsaw Ghetto and recall those selfless heroes who risked their lives in order to help or save those of their persecuted neighbors. Their bravery inspires us to embrace all that is good about hope and resilience; their altruism reminds us of the importance of maintaining peace and unity, and of our civic duty never to remain silent or indifferent in the face of evil. We have a responsibility to convey the lessons of the Holocaust to future generations, and together as Americans, we have a moral obligation to combat antisemitism, confront hate and prevent genocide. We must ensure that the history of the Holocaust remains forever relevant and that no people suffer these tragedies ever again.